Explore the natural soundscape of Miller Woods trail with a soundwalk led by the Midwest Society for Acoustic Ecology. Enjoy a surprising concert of environmental sounds by Chicago Phonography, a collective of artists who gather audio recordings of Chicago and Gary soundscapes. 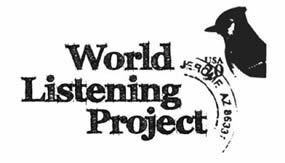 Using a four-channel playback system, Chicago Phonography members collectively mix their recordings in live, improvisational performances. In a sense, Chicago Phonography substitutes microphones and field recordings for musical instruments to create new and dramatic soundscapes that surround and engage listeners in surprising ways—using only real world sounds. Chicago Phonography will host an “open mic” session for new members, and this performance will also feature sounds archived by the National Park Service—such as whale songs recorded in Glacier Bay, a dawn chorus of Isle Royale in Michigan’s Upper Peninsula, and forests of the Great Smoky Mountains.